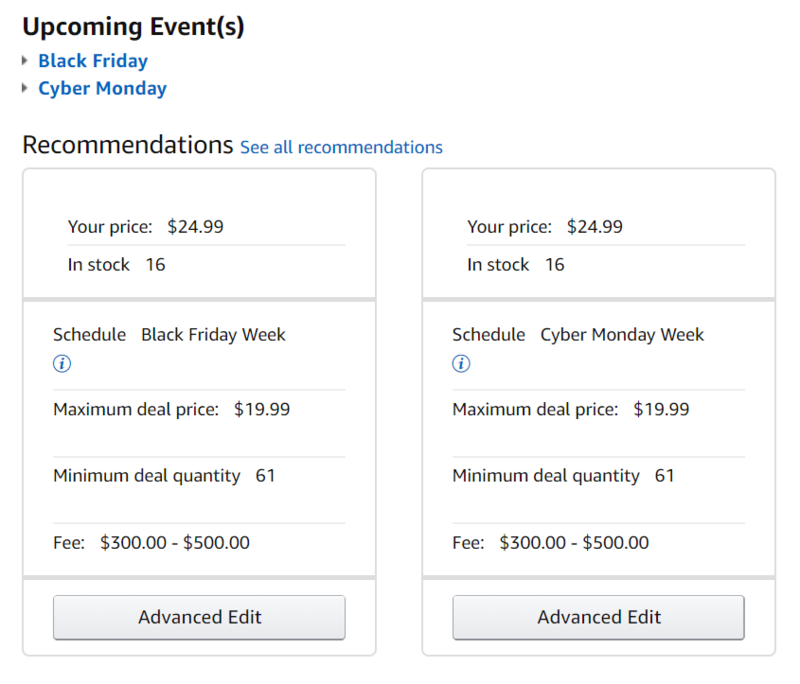 Sellics Home » Sellics Blog: Amazon Strategy Tips & Knowledge You Need to Succeed » Amazon Lightning Deals Deadline for Black Friday and Cyber Monday 2018 – Don’t Miss Out! Q4 is approaching. End of year sales are around the corner. That means sellers, as well as vendors, have to jump into action to make the most of the season. And on Amazon, making the most of the season means taking advantage of Lightning Deals. These are time-bound, promotional offers that are featured on the Amazon Deal page. And submissions for Lightning Deals for Black Friday and Cyber Monday are now open! 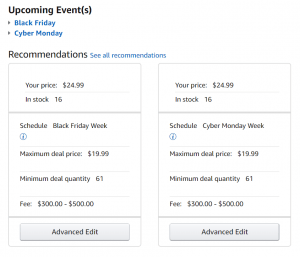 On Amazon, Black Friday and Cyber Monday are a big deal. They have changed the way people shop for Christmas presents. Rather than waiting until the last week before the holidays, people try to get the best deals during this time of massive discounts. As a seller or vendor, you’ll want to get in on this. Not only will a large amount of ready-to-spend buyers flock to Amazon, but if you are accepted for Lightning Deals, your product listing will show up on some prime real estate on the Amazon home page. In the long term, this will have a positive impact on your rankings too. Black Friday and Cyber Monday are therefore essential in maximizing your holiday sales. How do Lightning Deals Work? Submitting a Lightning Deal doesn’t mean that your promotion will be automatically displayed. With the help of an algorithm, Amazon determines the best deals out of the pool that was submitted and ranks them according to which ones will be most likely drive the highest amount of sales. Deals with the best price, quantity and inventory are then awarded the best time and position on the Amazon Deals page. On top of that, you must also offer products that are eligible for Lightning Deals. You can easily find out whether your products qualify or not by checking for Recommendations on your Lightning Deal Dashboard. If you cannot see any recommendations, then your products are not eligible. Once you’ve made all necessary adjustments, you can send off your Lightning Deal for review. Amazon charges a fee for running Lightning Deals. It depends on the date and time your promotion runs. You will find out if and for what date/time your deal was selected at least one week prior to it being scheduled. Upon selection, you will see the event name as well as start and end date displayed in your Upcoming and active tab. If the week-long time frame is shown, you have not been selected for a specific event (i.e. Black Friday or Cyber Monday). Your deal will still run on a different day throughout the week. At this point, you also have the chance to view the exact fee Amazon is charging and cancel the promotion if you wish to. Once selected, you need to monitor your deal and ensure that you have enough product quantity available in case it sells quickly. To accept a Lightning Deal recommendation, find the ‘Marketing Recommendations’ tab on your ‘Merchandising’ page in Vendor Central. Edit the recommendation to suit your business requirements, and send it off to Amazon for review. To submit a Lightning Deal, find the ‘Promotions’ tab on your ‘Merchandising’ Page in Vendor Central. Under ‘Lightning Deals’ you can select to submit a deal for consideration. Amazon charges a base merchandising fee for each Lightning Deal. The amount of the fee depends on the country and time your promotion is displayed. For example, in Germany, you will be charged EUR 70 per deal. Once you meet the above criteria, set up your Lightning Deal structure, and are happy with the fee, you can hit the submit button. Whether you’re an Amazon vendor or an Amazon seller, you can use the Sellics PPC Manager to analyze, track and optimize the performance of your Amazon ads. 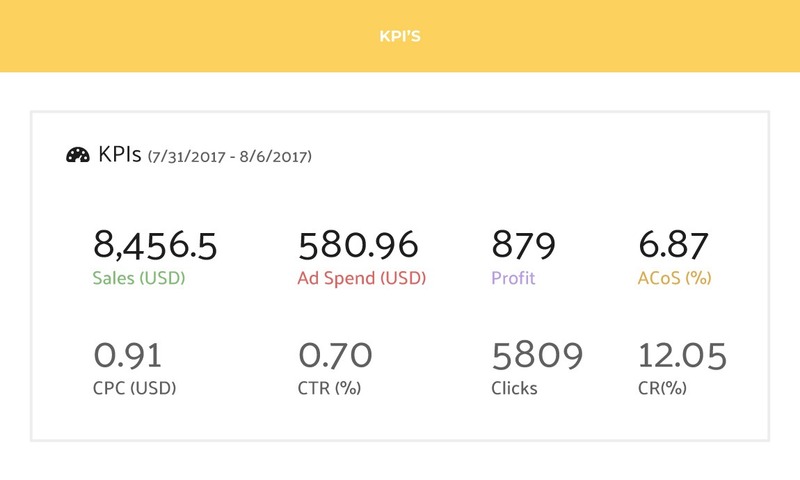 Use our PPC Automation software to automate your ad campaigns, decrease manual hours spent on PPC management, and improve your advertising ROI.